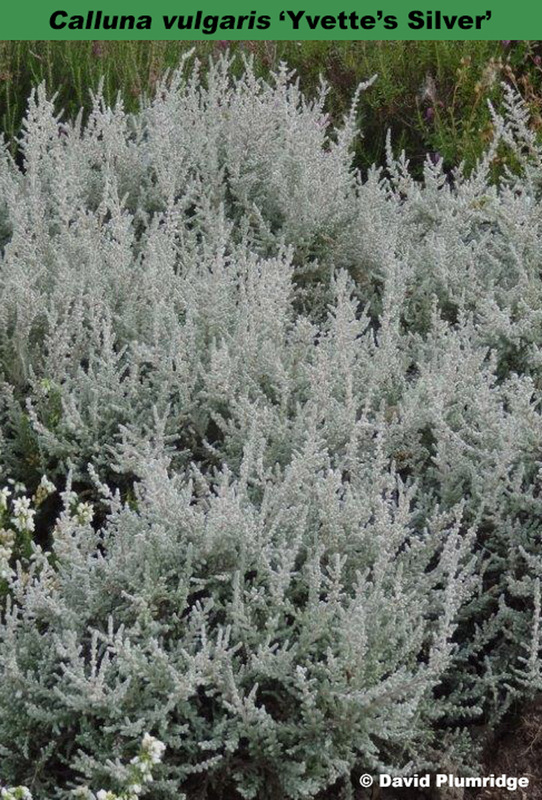 A lovely silver grey foliage plant to enhance your heather bed at any time of the year. Lavender flowers in August to October; vigorous, upright habit; height 31–45cm; spread 46–60cm. Named after Yvette Knutson, a one-time employee of David Wilson (British Columbia, Canada).